When we talk about Nutrition we basically talk about Nutrients. As we all know that requirement of nutrition for everyone is different. People consume different nutrients in different amounts which results in the overall view of an individual’s health and physiological condition. People staying in different geographical condition, different environment, different states, countries, different communities eat different variety of food. Also the availability of food is different at different places have goitre and Iodine Deficiency Disorder. So similarly different areas, people will have different deficiency. Nutrition gives energy to the body to carry out various functions in the body. As we grow older energy requirements changes. The highest peaks of energy requirements are during the growing years of age i.e. during infancy, puberty, pregnancy where body undergoes physiological changes in the body. These changes require macro and micro nutrients for its growth. If the vitamins and minerals are not supplied to the body in adequate amount malformation of growth takes place leading to temporary and permanent changes. Meat, eggs, milk and Dairy products. Starting from the base, cereals form major portion of the diet, followed by fruits and vegetables, lesser than fruits and veggies will be meats and dairy products and only a very small portion of oils and fats to be consumed. Daily consumption of fats for a healthy person should be 3-4tsp/day (inclusive of oil, ghee, butter, cheese, margarine etc). If you facing any clinical condition then kindly visit your Registered Dietician and physician for help. When we talk about nutrition we think of eating only fat free food or low calorie food. As mist of us know that vitamins are health liable. So more fresh food you eat, more vitamins you will get. Exposure of food to atmosphere for a long time will lower its vitamin content. Also re heating of food will reduce the nutrient value of the food. Minerals, Carbohydrates, proteins will not change so drastically. I have come across a section of population who hardly eat traditional Indian meal 3 times a week which is a very poor ratio. Our Indian traditional meal nutrition ratio is perfectly suitable for the Indian lifestyle which helps the population to stay fit, healthy and live long. Nutrition of an every Indian meal approximately on an average gives 55-60% carbohydrates, 20-25% fats and 10-15% Proteins. So this combination of the nutrients works best for healthy well being. 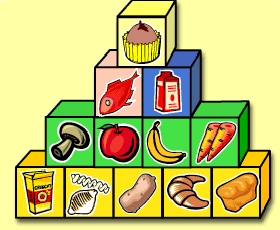 As we go ahead and talk about nutrition there are many factors which are related to nutrition status of a person i.e. person’s socio economic status, well being, age, gender, metabolic condition. Malnutrition, it includes both under nutrition as well as over nutrition. Under nutrition is seen among the lower class of people who belong to poverty and over nutrition is seen in people of higher class. So key to stay healthy is optimum nutrition, nor over nutrition or under nutrition. For me, nutrition is the most important part of one’s life. Right from the time baby is in mother’s womb till the individual die, nutrition plays an important role irrespective of what stage of life person is living. You wish to live healthy for long years? Start investing in your health and start eating right food. i am visiting this web page dailly and get pleasant data from here daily.